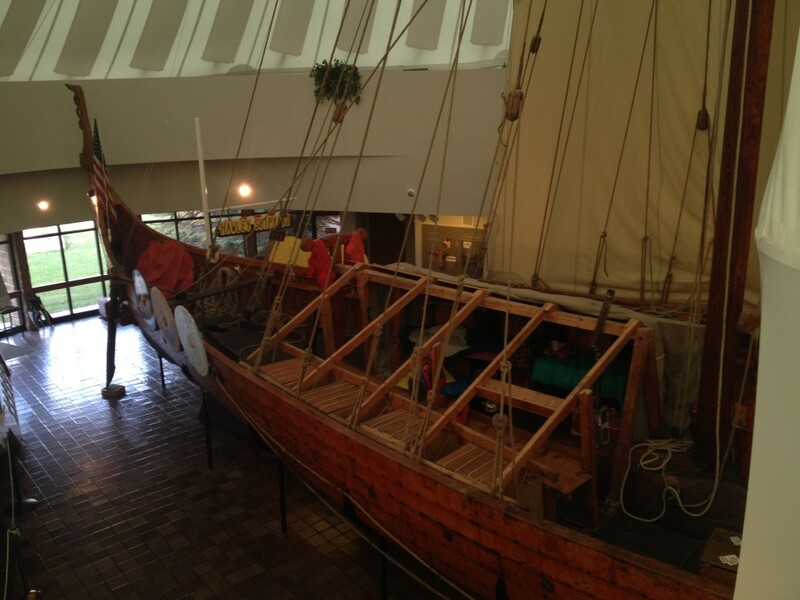 Vikings have a rich history in Minnesota, as I have written about before. Tales of Leif Ericson as well as other European Viking explorers here predate Columbus, and Minnesota has taken a great deal of pride in that. 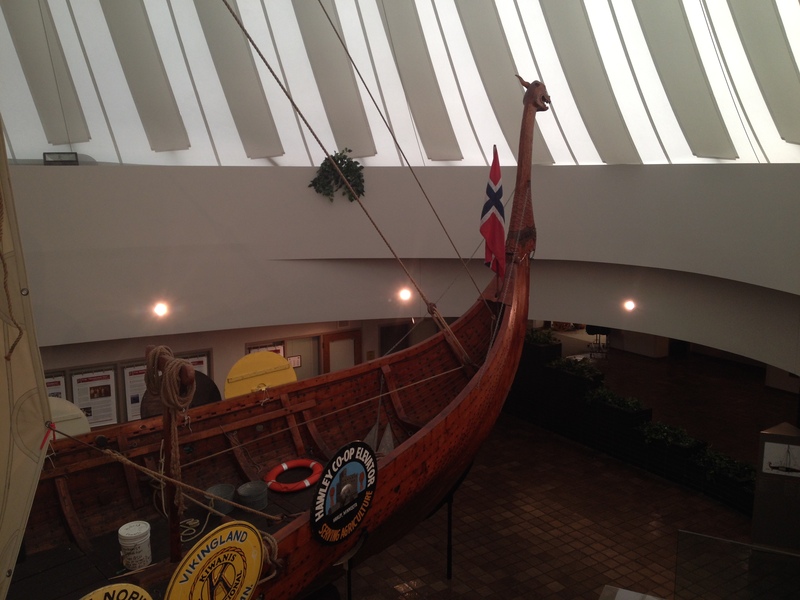 But few things are more exemplary of that in our state than The Hjemkomst, an exact replica of a Norwegian Viking Ship that was even sailed from Minnesota to Norway back in 1982. “Hjemkomst,” Norwegian for “Homecoming,” was the braindchild of local Moorhead junior high guidance counselor Robert Asp, who had discussed the idea with his brother, Bjarne. Their plans began to take shape over the years in the 1970s, with the concept of replicating the “Gokstad” Viking ship that was discovered in Norway in a burial mound back in 1881. As plans came together, Asp arranged for lumber for the ship and researched construction and assembly methods for the project. Coincidentally, the first lumber for the Hjemkomst was milled at a sawmill north of Viking, Minnesota, in 1972. The construction of the Hjemkomst was underway, and the majority of the work was done in Hawley, MN at a converted potato warehouse renamed the ‘Hawley Shipyard.’ The ship took about six years to complete, and along the way Asp developed leukemia but continued work on the project anyways. The ship was completed in 1980 and revealed to the public that summer. 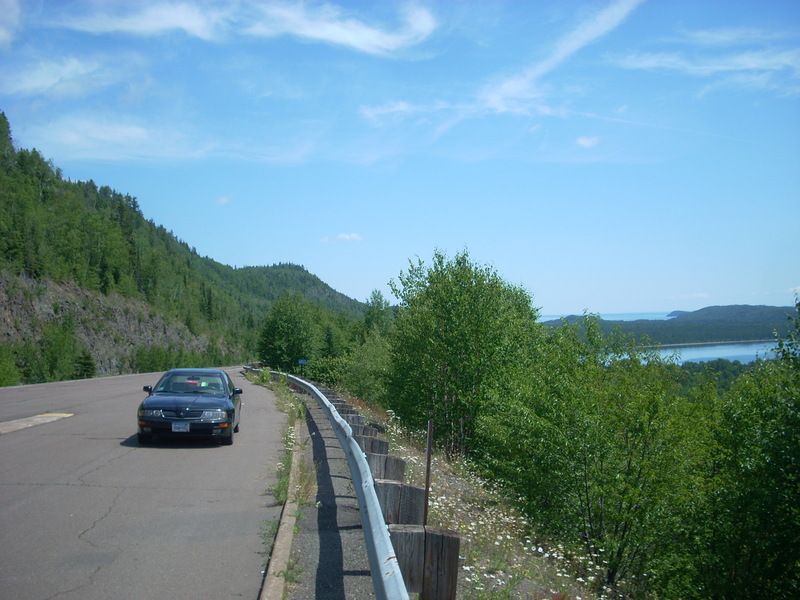 It was transported to Duluth, MN that August where its maiden voyage would take place in Lake Superior. Asp sailed in the Hjemkomst several times before he died later that year in December. Two years later, after much promotion and fundraising, Asp’s descendants and a crew of other adventurers pressed on with the original plan to sail the ship all the way to Norway, fulfilling Asp’s dreams. The ship left the Duluth Harbor in May of 1982 and traversed the Great Lakes and up the Erie Canal all the way out to the Atlantic Ocean. The ship circled the Statue of Liberty outside of New York before hitting the open sea. They reached Norway in July after facing tough conditions on the North Atlantic. The crew recieved a hero’s welcome upon their arrival in Norway, including a royal visit with the King of Norway in the Oslo Fjord. 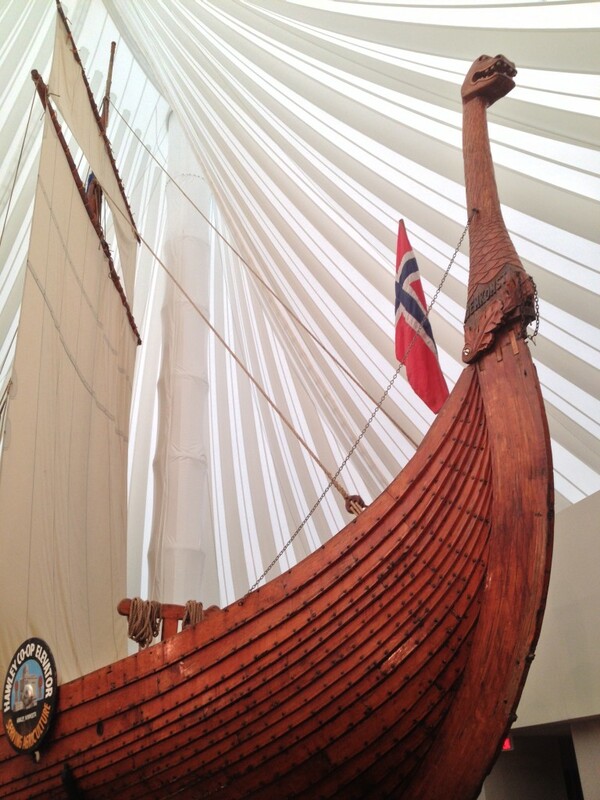 The ship was kept in Norway for about a year before it was shipped back to the US aboard a larger cargo ship. It was then transported back to Minnesota where it was donated to the City of Moorhead, Asp’s hometown and mine, and placed on display at the Hjemkomst Center since 1986. The Hjemkomst is Moorhead’s pride and joy, and I recall taking several school field trips to see it as a youngster. You can walk right up to it and view it from above via an observation deck, although you can’t board it. It’s an impressive work of craftsmanship, and the story behind it is just as inspiring. 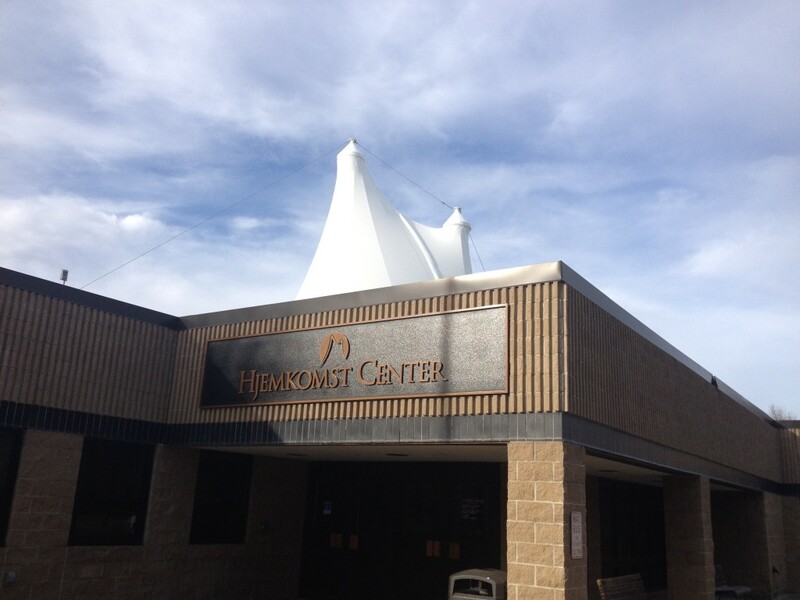 The iconic white tent roof of the building has become Moorhead’s town emblem. While in the area: On the grounds of the Hjemkomst Center is a replica Norwegian Stave Church, built to the same specs as the one in Vik, Norway. Or you could head across the river to Fargo to see the original Woodchipper from the eponymous movie, Fargo.